More seasoned fitness oriented people take to running to stay in shape. One should consider running over other activities such as walking, swimming or jogging as they improve their fitness skills. Running can tone your legs, upper body and core. Cardio vascular gains you get from running are unparalleled to any other exercise. 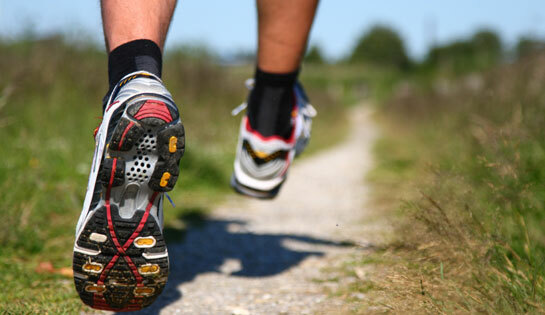 When you continue to practice running, Endorphins that gives you a feeling of high runs freely throughout your body. Your stride is the most important element of running. If your stride is not correct and you continue to practice running, you may be damaging your body than helping it. One key to good and correct stride is a fitting shoe. Over the years shoe designers gotten more sophisticated and today good shoes that can fit correctly for any kind of stride is available. Salesmen, especially those who work for fitness equipment stores, are trained to understand your stride and can fit you with a correct shoe. You should also consider clothing available for runners. For those who sweat a lot, clothing that absorbs well are available for your comfort. If you feel discomfort in your heal or any other part of your feet, you should consult your medical specialist before you continue to run.